We had a gorgeous summery weekend here this weekend. Highs on Sunday were in the 80s. Mid-summer weather without all that gnarly humidity that beats me down. Or the mosquitoes. It was nice. By late afternoon we all moved to the front yard; you couldn't not be outside. 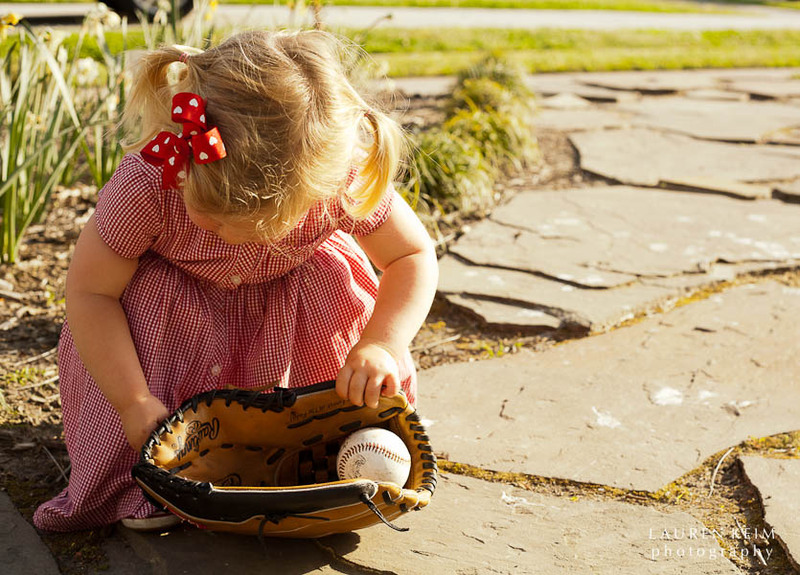 This little lovely was enamoured with Callum's baseball glove, and had quite a time with it. I almost, almost forgot that I had my camera with me. Can you believe it! I'll let the photos tell the rest of the story.